Anyone can be a naturalist. On the Academy blog, our scientists share their knowledge to help you explore the natural world. This fall, we recommend a search for a tree that bears useful autumn fruits. The eastern black walnut (Juglans nigra) is a native hardwood that grows primarily throughout the eastern and central United States and into southern Ontario. It can grow to more than 150 feet tall, but average trees are between 50 and 100 feet. The long trunk has dark, rough bark with narrow ridges. The pointed, green leaflets grow in pairs along a central stalk topped with a single leaflet, and they turn yellow and drop in the fall. 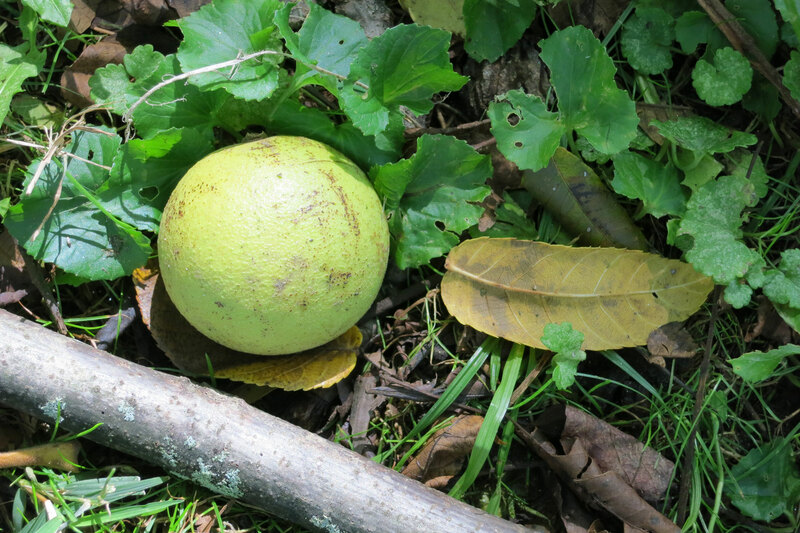 The black walnut provides shelter and food for many animals and serves as a resource for commercial products. Humans use the wood for fencing, firewood, gunstocks, fine furniture, veneers, and more. Edible nuts encased in the fruits provide flavoring in many baked goods, and nut husks have been used in making dyes for clothing. You might recognize the black walnut’s large (1.5 to 2.25 inches in diameter) fruit. The round, green outer husk surrounds a hard, corrugated shell composed of two halves, inside which is a small walnut. The fruits mature in September and October and then drop to the ground where the husks rot and blacken. You’re likely to see a squirrel eating the fruits or burying them for safekeeping. 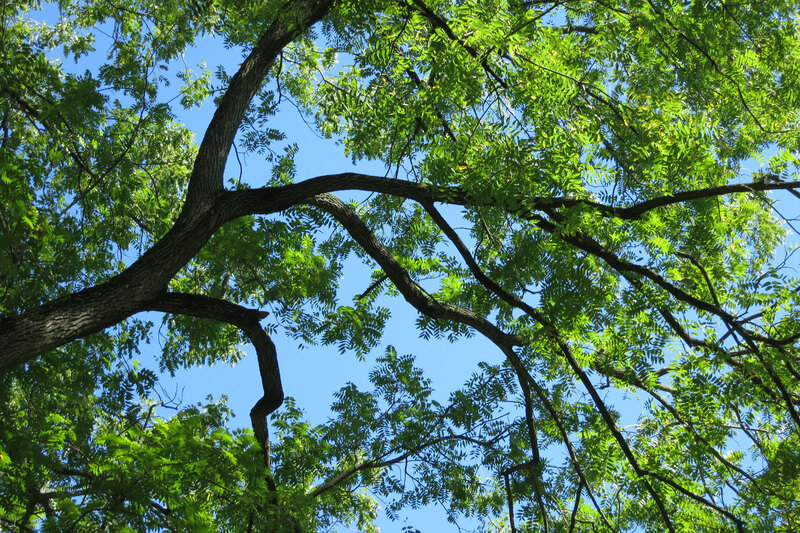 Thanks to frequent harvesting, black walnut trees may be more difficult to find than other trees in our area. They can prevent the growth of surrounding plants because they produce chemicals that are toxic to some other plants and spread these chemicals through their root systems, leaves, stems, fruits, and bark. These trees also prefer full sun, so they tend to become the most dominant plants in their areas. Search for them in parks (including Fairmount Park), cemeteries, open woods, meadows, flood plains, areas near rivers or streams, or in your own backyard. If you’re lucky enough to collect a black walnut, be careful. Your hands and clothes may be temporarily stained from the blackish-brown dye seeping from the husk! This article was adapted from the Fall 2012 issue of Academy Frontiers.